You are at:Home»Execs to Know»Top 25 GovCon Execs To Watch in 2018: Jonathan Moneymaker, President, Altamira Technologies Corp. When Jonathan Moneymaker joined Altamira in 2014, he rolled up his sleeves and got to work. 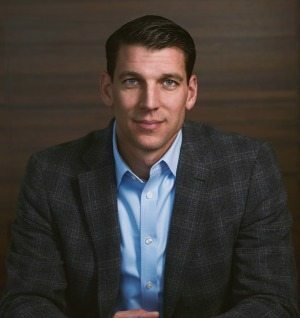 Expanding on his track record of success across startup ventures, mid-market private equity and Fortune 100 enterprises, he spearheaded Altamira’s 3-year, year-over-year, double-digit growth strategy, and led its two acquisitions to accelerate its position as a dominant player in data analytics and advanced engineering by adding cyber operations and cloud migration to the organic portfolio. Outside of his responsibilities at Altamira, Moneymaker serves on the board of directors of the University of Southern California’s Viterbi School of Engineering, advancing the development of tomorrow’s engineers. In a short time, Moneymaker has continued to enhance and build on Altamira’s brand and reputation, recognized for its innovation and ability to solve problems, personal touch to customer success, commitment to mission delivery — collectively advancing and transforming how it helps solve today’s most pressing national security problems. Expect more bold moves from this California native who’s dedicated his whole career growing and executing diverse portfolios of business.